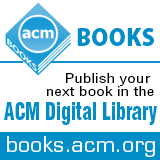 Welcome to the November 14, 2014 edition of ACM TechNews, providing timely information for IT professionals three times a week. ACM's A.M. Turing Award for achievements in computer science was given a major boost this week when Google announced it would be quadrupling the prize money attached to the award to $1 million, nearly the amount awarded for a Nobel prize. The Turing Award recognizes "true pioneers...fundamental contributors to the science and technology of computing," says ACM president and Imperial College London professor Alexander L. Wolf. Google has backed the Turing Award since 2007, when it underwrote the then-$250,000 prize along with Intel, but the chipmaker recently decided to step away and the search giant decided to dramatically increase the Turing Award's profile. Google vice president of engineering Stuart Feldman, who was at the Thursday event announcing the new prize money, says the Turing Award recognizes both "the finest of thought and the broadest of impact." Feldman says increasing its prize money boosts the Turing Award into the "major league of scientific prizes." Also in attendance was 2013 Turing Award winner Silvio Micali of the Massachusetts Institute of Technology, who urged young computer scientists to take on big challenges instead of the "lesser and easier targets." Former Microsoft CEO Steve Ballmer this week said he views machine learning as the key to next era of computer science as he announced a donation to Harvard University, his alma mater, that will help increase the university's computer science faculty by 50 percent. "I think it's the dawn of an exciting new era of info and computer science," Ballmer said. "It's a new world in which the ability to understand the world and people and draw conclusions will be really quite remarkable…it's a fundamentally different way of doing computer science." Ballmer, who graduated from Harvard in 1977, hopes his donation will help Harvard develop one of the U.S.'s top computer science programs. Ballmer wants Harvard's program to have a special focus on machine learning, as well as topics such as online privacy and cybersecurity. "I'm not trying to pick [what Harvard focuses on], but we do share a passion for this being a leading edge over the next several years," he said. Ballmer also noted that unlike fellow Silicon Valley mogul Elon Musk, he is optimistic about the future potential of machine learning and artificial intelligence technology. "It doesn't concern me," he said. "I don't think being afraid of any innovation is a good thing." Daniel M. Zimmerman and Joseph R. Kiniry, researchers with Portland, OR-based computer science research firm Galois, have published a paper outlining a method an attacker could use to intercept and change a PDF-based online ballot. Online balloting is far from being mainstream, but it has been piloted in an election in Alaska and was offered as an alternative to in-person voting for some residents of New Jersey in the wake of Hurricane Sandy. Numerous methods of hacking into PDF ballots have been demonstrated and Zimmerman and Kiniry's hack involves first subverting the firmware on a residential router using several well-known attacks or by exploiting weak default passwords. Once the router has been subverted, the attacker would be able to monitor emails for certain code strings indicating a PDF ballot and change the selection on the ballot by inserting a different string. Zimmerman and Kiniry describe their method as "a more subtle attack at the transport level, which changes the raw data traveling through the electronic mail system between the voter's computer and the election authority." They say the method is undetectable unless the online balloting process is being actively monitored at both ends of the process. The European Commission is backing ALIZ-E, a Plymouth University-led initiative to study how social robots can help diabetic children accept the nature of their condition and become more confident about their futures. The Plymouth researchers believe the robots also could assist children with other medical conditions, such as autism, or act as classroom assistants aiding pupils who may be in danger of falling behind their peers. ALIZ-E uses Nao robots and equips them with specially designed speech recognition software through which they can interact with a child and deliver personalized responses. "By personalizing its responses and recognizing the children it has met before, the robots can support and educate, and we have seen many times the positive impact this is having on children and their families," says Plymouth professor Tony Belpaeme. The ALIZ-E project originally aimed to build artificial intelligence for small robots and to study how young people would respond to them. Belpaeme says although the work has led to a wide range of scientific insights on how children relate to social robots, it also has resulted in a greater understanding of how robots need to be designed to maximize their impact when used for educational or therapeutic purposes. University of Washington (UW) researchers have developed an algorithm that trains networked moving and still cameras to learn one another's differences so they can automatically track people. "As the cameras talk to each other, we are able to describe the real world in a more dynamic sense," says UW professor Jenq-Neng Hwang. He notes the new technology could be used to identify and track humans and overlay them into a virtual three-dimensional map on a car's global-positioning system screen. The researchers are developing the technology to work in real time, which could help pick out people crossing in busy intersections, or track a specific person. "Our idea is to enable the dynamic visualization of the realistic situation of humans walking on the road and sidewalks, so eventually people can see the animated version of the real-time dynamics of city streets on a platform like Google Earth," Hwang says. The cameras first automatically record for a couple of minutes to gather training data, systematically calculating the differences in color, texture, and angle between a pair of cameras for several people who walk into the frames. An algorithm then automatically applies those differences between cameras and can pick out the same people across multiple frames. The rise of fitness-tracking and health-monitoring devices has made it easier for people to quantify and track important health metrics such as physical activity, heart rate, and blood-sugar levels, but easy quantification and monitoring of mental health has proven much more elusive. Several teams are working on new ways of determining what elements of behavior or mannerisms could be tracked to monitor a person's mental health. For example, University of Maryland researchers, including computational linguistics professor Philip Resnik, are working to identify what vocal traits or behavioral cues might correlate with depression, with the goal of developing an app that could track them. Meanwhile, Glen Coppersmith and others at Johns Hopkins University's Human Language Technology Center for Excellence are looking for hints to people's mental state's in their tweets. An upcoming hackathon sponsored by the group will task participants with sifting data from Twitter to identify patterns in Twitter use that could indicate conditions such as depression and bipolar disorder. Meanwhile, Ginger.io has released an app that tracks smartphone usage for activity suggestive of behavioral changes such as decreased social interactions or disrupted sleep patterns that can indicate mental illness. Researchers at the University of Oslo have developed software that enables users to customize their music. "With the new system you can use your smartphone and your movements to control how modern compositions sound," says Oslo postdoctoral fellow Kristian Nymoen. "Using the sensors in your smartphone you can gradually be provided your own musical expression that suits your mood." The researchers also used a sensor to record foot movements and the pressure in shoes combined with an algorithm to analyze how a user walks. Research into music is part of Europe's Engineering Proprioception in Computing Systems project, which aims to give machines the potential to adapt themselves to their environment. Two partners from industry and six universities are working on the project, and the University of Klagenfurt in Austria has used the project's research on human movement in video-surveillance systems. The technology lets video cameras follow a person who is moving within the various camera views. "The new algorithms...are intended to imitate our brain, which has the incredible ability to determine how your fingers can meet behind your back even though you can't see them," says Klagenfurt's Jim Torresen. The researchers say they derived inspiration from nature, including how fireflies synchronize their flashing and how ants leave a scent as they track food. Stanford University researchers have mined geotagged tweets for indications of mood and searched for correlations with the weather. They studied a database of tweets geotagged to one of 32 major urban areas in the United States, which had been filtered from a dataset of 10 percent of all tweets posted in 2010 and 2011. The researchers also filtered out tweets about major national or international events, and then categorized the remaining tweets as either anger-hostility, fatigue-inertia, depression-dejection, or sleepiness-freshness. Finally, they used a machine-learning algorithm to find correlations with the weather in these areas using a database from the U.S. National Oceanic and Atmospheric Administration, which records the average daily temperature, the daily change in temperature, the daily rainfall or snowfall, the depth of snow, and the total amount and strength of the sun each day. "People tend to be happier as temperature becomes cooler but feel uncomfortable with drastic temperature decrease," notes Stanford researcher Jiwei Li. However, the researchers caution these correlations are not necessarily an indication of causation. For example, the data shows snow correlates with negative moods, but it is unclear whether this is a result of the weather itself or other factors caused by the weather, such as an increase in traffic jams or accidents. Queensland University of Technology researcher Peta Mitchell is mapping the G20 Leaders' Summit in Brisbane, Australia, in real time on Twitter and Instagram to determine how the event is affecting those inside the conference. Mitchell plots the data on an interactive map the public can explore via a website. "No project has mapped G20 social media data in this way before, so we don't really know what kind of information we'll glean--or even how many tweets to expect each day from within the declared areas," Mitchell says. The project involves a process known as geoparsing to analyze thousands of non-geotagged tweets each day, focusing on mentions of streets or landmarks within the declared areas, and assigning geographic coordinates to them. Mitchell also is tracking delegates' tweets and existing and emerging G20-related hashtags. "Understanding how people use social media to talk about the disruptions that big events cause in their daily lives is very useful for organizations involved in planning large events--governments, emergency services departments, transport authorities, event organizers, and even insurance underwriters," he says. "This project is also a good way for the residents of Brisbane to get involved with the G20 even if they don't want to be physically close to the city center while it's on." Researchers have developed a soft, worm-like robot that moves similarly to inchworms, and could one day be used in rescue and reconnaissance missions inaccessible to humans or larger robots. Seoul National University's Wei Wang and his team constructed an inchworm mold using a three-dimensional printer, and then poured a silicone solution into the mold. They then glued small pieces of polyimide film to make the front and rear appendages, while muscle fibers were replicated using eight longitudinal shape memory alloy (SMA) wires that extend throughout the inchworm robot's body. The researchers could cause the robot's body to move with a natural inchworm gait when applying electric currents to the wires. Actuating the SMA wires symmetrically caused the robot's body to contract symmetrically, resulting in linear motion, while asymmetrical actuation resulted in a turning locomotion with one foot as an anchor. The researchers alternated between low-friction and high-friction foot segments to replicate these foot changes. "We want to apply the locomotion and control algorithm of the inchworm-inspired robot to other motor-based robots in order to make quiet, flexible, yet load-carrying machines," says Seoul National University professor Sung-Hoon Ahn. "We also want to extend our smart soft composite technology to other types of mechanisms, such as soft artificial limbs, soft electronic appliances, transforming automobiles, etc." University of Wisconsin-Madison investigators are developing a simulator to help medical students virtually practice surgical procedures. Professor Eftychios Sifakis is collaborating with professor Timothy King, as well as with Dr. Court Cutting, an international expert in cleft lip and palate procedures, and computer sciences graduate student Nathan Mitchell. In early November, the team used the tool to demonstrate how to make and close incisions on flat areas of skin, make scalp incisions, and suture them using flap techniques. The simulator emphasizes biomechanical accuracy. Surgeons must predict how soft tissue will respond to a procedure based on factors such as age, type of tissue, and its location on the body. The simulator's three-dimensional renderings eventually will demonstrate how real skin will react under actual conditions, which will require further development as well as the acquisition of more information about live tissues. Sifakis says the end goal is to create an agile, portable system for use on tablets or other mobile devices. The U.S. National Science Foundation is funding the team's efforts through its three-year Smart and Connected Health grant awarded in July 2014. The researchers say the simulator has significant potential to curb errors and post-surgical complications. An autonomous shuttle vehicle is being unveiled this week at the Michelin Challenge Bibendum in Chengdu, China. Researchers from Institut Pascal, which includes Blaise Pascal University, the French National Center for Scientific Research, and the French Institute for Advanced Mechanics, collaborated with Ligier Group on the driverless vehicle, which uses computer-vision guidance technology based on video cameras. Video recorded during an initial journey when the vehicle is driven manually provides the virtual track that it must follow when in autonomous mode. The vehicle can detect obstacles at a distance of 50 meters and slow down or stop, depending on the potential danger. Designed to transport up to 10 people along short routes of about 1 kilometer, the researchers say the shuttle would be ideal for industrial sites, airports, or amusement parks. The researchers plan to test a fleet of five vehicles at the Michelin Europe Technology Center in Ladoux, France. The researchers want the shuttles to handle multiple and potentially simultaneous requests from call points and smartphones in real time. Computational endeavors are impacting everything from scientific research and medicine to business, humanities, and the arts. An article at Computer Science Degree Hub lists the 50 most innovative computer science departments in the country, and the top 10 includes Stanford, Harvard, Carnegie Mellon, Columbia, University of Washington, Berkeley, Princeton, UCLA, and Cornell, with the top spot going to the Massachusetts Institute of Technology. Many of the schools also will be recognizable as premiere computational science centers. Computer science and computational science are linked in many ways, but they are distinct. "Computer science includes all the things we do on our computers and how we build systems to do those kinds of things," says University of Texas at Austin Institute for Computational Engineering and Sciences' Robert Moser. "Computational science is about the application of computers to advance science, largely the modeling and simulating of the physical world." Several schools offer master's degrees in computational science/engineering, which is good preparation for a career in high-performance computing (HPC). In addition, when HPC is not treated as a full degree program, schools might offer it as a specialization within the math or computer science department.